The world’s weirder than we imagine. 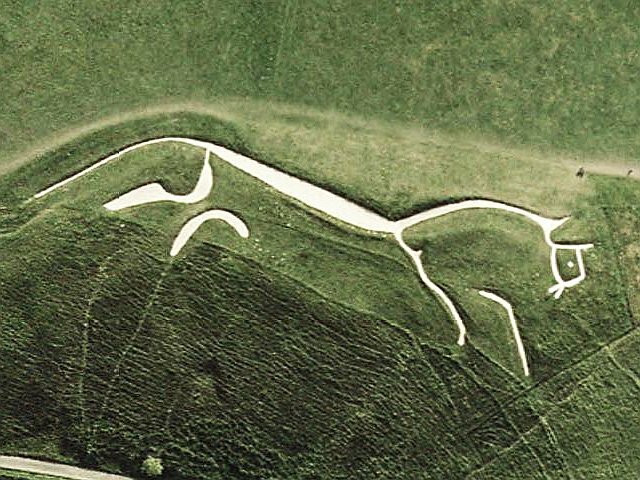 On a whim, I drove to the Uffington White Horse for the winter solstice. After the night had transitioned to an oppressive slab of grey, I followed the Ridgeway to Weyland’s Smithy, a long barrow, and noticed the smouldering bonfire first. Then, taking in the rest of my surroundings a little more carefully, I saw the pentagram chalked on one of larger stone lozenges. In the entrance were some tied grasses and an eviscerated hare or rabbit. What, I wondered, would I have seen a couple of hours earlier? In Bonehenge, John Hartley Williams initially presents neolithic sites as stripped of their power and appropriated as lovers’ lanes. ‘Millicent Bean and her lover, Pete / (of Pete’s Klutches-While-U-Wayte) / disturb the long grass round a neolith / at midnight, under a lupine moon’. Williams’ names already invite associations with DH Lawrence’s Lady Chatterley’s Lover, or Robert Browning’s darker Porphyria’s Lover. We can picture the white van in the car park, as we’ve read about Pete’s Klutches from its side and, suddenly, this couple are not alone. That the grass has been disturbed suggests that the tryst has violated hallowed ground and the luridly supernatural lupine moon points at Millicent’s own desire to ‘savour ghosts / of ancient rites’. Williams has a lot of balls in the air here, and the reader is unbalanced, unsure whether to see this piece as comic, or as something altogether more disturbing. This uncanny uncertainty is itself masterly Gothic. As the couple consummate their lust, Williams presents the moon shrinking: ‘The pewter orb is pinched and held / as if by a jeweller’s fingers: a pearl’ and, in a scene of pure horror, ‘From the disappointed caves of every- / thing, resurrected ritualists arise / and reach out bony claws to grasp / Pete’s ankles, Millicent’s quicksilver curls’. Why are Williams’ resurrected ritualists initially so keen to hold onto the couple and why, once their seed has spilled on the ground, does it ‘repel the weave // of tangled limbs that shrink away like / snail horns touched, or shrivelling worms, / into their labyrinth’? Williams visits similar neolithic territory in The Old Men Behind the Waterfall. As Bonehenge’s labyrinth is a suggestively yonic image, so this poem opens as ‘Shadows murmur in the moist vault’. 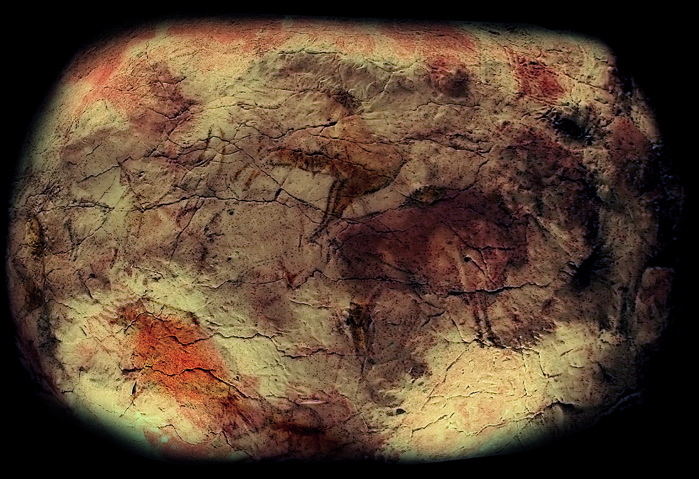 Cave paintings are universally admired, yet Williams again strikes an ambivalent note. ‘Prophetic age? Or time of stupefying?’ he asks, suggesting that ‘Ideas are millionthed in ash or simply / dashed by tower’s deluge in boulder pools of clarity / where fish below the churning of the force / are bleak-green silver dull or swift and pendant and unsullied’. There’s no optimism here and Williams lines grow in length until they overwhelm us. The fish have remained unchanged for millennia. We usually like to see them quicksilvered like Millicent’s hair but Williams’ ‘bleak-green silver dull’ reinforces the bleak beauty. However, the torch still shows ‘a pyrotechnic script on the walls and evokes Belshazzar’s Feast from the Book of Daniel, presenting the reader with mixed messages. Are our best efforts at creating meaning just daubings, or are they divinely inspired? In White Asparagus, Williams continues to unload his images of castration and loss of potency. Bonehenge’s ‘snail horns touched’ is a superb image and here asparagus, our beloved aphrodisiac, is subverted as ‘Underground, the spears were being lifted / by practised hands. The severed phalluses / jolted by in the back of a tractor’. There’s a sense of unfulfilled desire and separation here too, as Williams tells us that Beelitzer Spargel, Brandenburg’s characteristic white asparagus, was a mystery to West Berliners until the wall came down. 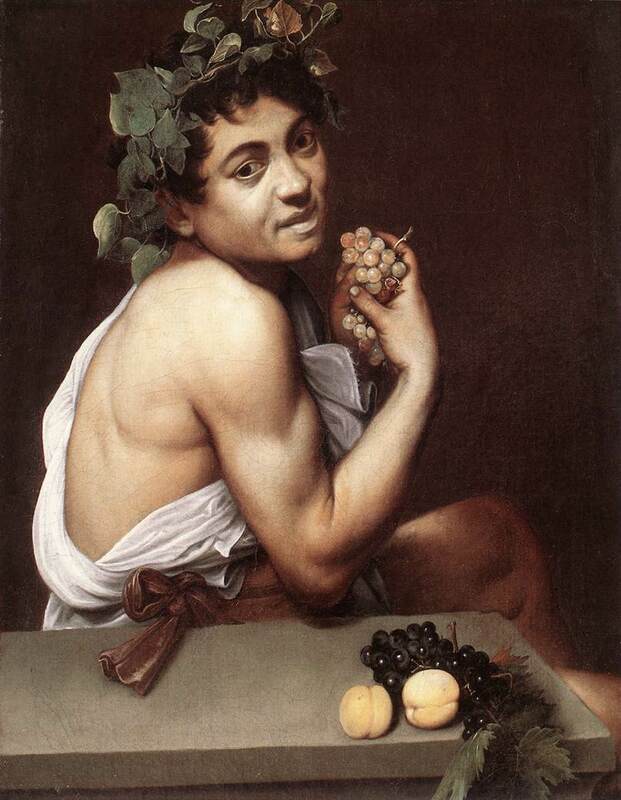 Caravaggio painted Bacchus twice: once following illness where the skin tones match the foreground’s peaches and once as a semi-sozzled teenager (although the foreground’s decaying fruit carries dark undertones). 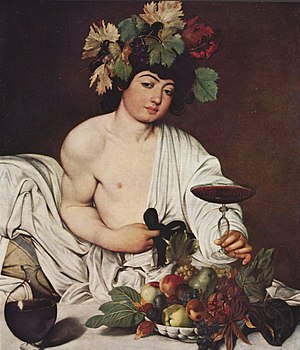 So, Bacchus is supposed to be the god of parties and of resurrection, yet booze’s image problems and health issues complicate this picture. In Williams’s words: ‘My old friend! Your gut protuberant, your horns / palely curved, your tongue claret-sticky – / how good it is to see you! Take the weight off your rump. / I think we’ve listened to this plopping music before, / have we not? This lucid glugging? / Tall-stemmed glasses catching fire from light’. Williams’ long lines create the inertia of the public house and of The Old Men Behind the Waterfall. Is the pub a place where anything is ever achieved, or has wine had humanity talking nonsense since the golden age of Greek civilization? Those glasses catching the light should be reminding us of the cave paintings too. What, William asks, is the value of any of this culture? (He later asks explicit questions of poetry in Poets). Finally, Bacchus’s phallic horns point to the later shrinking of libido and fears of castration. In Café des Artistes, John Hartley Williams restricts himself to a tight palette, working his colours with the claustrophobic intensity of an obsessive compulsive disorder. Many of these poems also present images of startling beauty, as Williams questions us and our place in the world, taking nothing for granted.